RAM and GPU prices have not affected other computer hardware as much. There are plenty of other hardware improvements possible. One of them is the computer monitor. Invest in the highest quality monitor you can afford because your eyes are worth it. By quality, look at dot pitch, resolution, refresh rate, size, and panel type. Go for at least a 1440p monitor (also referred to as a 2K monitor). 1920×1080 is too blurry by comparison. Of course, if you have never used a 1440p or higher monitor, then you would never know what you are missing. However, 2560x1440p at 27″ is practically the new standard now for serious computer work. Why? On-screen items are the same size as a 24-26″ 1920×1080 monitor without the need to adjust resolution settings. Just plug and play, and you can continue with what you are already accustomed to. Be aware that 4K monitors might require too much resolution fiddling, and elements can appear too tiny. 2K monitors provide a good balance of increased resolution at 27″ without squinting at the screen. Another superb option is the 21:9 ultrawide, such as the Acer Predator X34. In fact, the cost of the X34 is now lower than it was a few months ago. A 21:9 ultrawide offers more horizontal viewing space. One of these monitors provides a good substitute to multi-monitor setups. From personal experience, I have found that the screen space offered with a 21:9 aspect ratio is what I was using most of the time with a multi-monitor arrangement, so why not use a single ultrawide and eliminate the extra cables and bezels? Avoid the TN panels. When migrating to a larger screen, you want colors to remain consistent from corner to corner. IPS panels provide this consistency, but TN panels do not. With a TN panel, you might look at the center of the screen, but color contrast will shift and fade toward the corners — especially if you move your head. On smaller screen sizes, this is not as pronounced, but for ~27″ monitors, this is incredibly annoying for graphic design work, programming, or general reading. With video games, this is not much of an issue. Look for a response time of 4ms or lower to avoid ghosting effects during games and motion images. If you enjoy games, find a refresh rate of at least 100Hz. Yes, there is a noticeable difference over 60Hz. Once you experience 100Hz or higher refresh rates, you will find it hard to go back to anything lower. It is worth the extra cost. If you never play games, then this is not much of an issue and can be ignored. Speaking of cost, if you can afford it, Nvidia G-Sync is worth the extra money providing you already have an Nvidia graphics card that supports G-Sync. If you do not, then skip G-Sync for now or invest in the future until GPU prices are reasonable. FreeSync is also an option, but out of personal preference, G-Sync seems to offer better monitor-GPU synchronization consistency and fluid motion. Keep in mind that G-Sync and FreeSync are competitors that are best paired with their specific graphics card families. G-Sync is proprietary. FreeSync is more open and royalty-free. While they can be interchanged (FreeSync monitor with a G-Sync graphics card), results are best when paired as intended. Your eyesight is irreplaceable. If you could invest in a single item that is the most noticeable, a monitor would be my first pick because that is what you will be looking at almost all of the time. So what if you save money on a low resolution 1920×1080 (or lower) resolution monitor if text is blurry and your eyesight suffers eventually? With 1440p, text is definitely sharper than 1080p. If you are a reader, this makes a world of difference and reduces fatigue. The keyboard and mouse are the next two improvements. Invest in quality because these are the items your body interacts with. For a keyboard, mechanical switches, such as Cherry MX Red on the Corsair K70, are superior to cheap-quality keyboards. Do not skimp, especially if you are a typist. For the mouse, use a high DPI (dots per inch), such as the R.A.T.7 or M.M.O.7 or something equivalent. These mice might be unavailable or overpriced now, but they have proven themselves 100% reliable over time. Find something equivalent that you find comfortable. 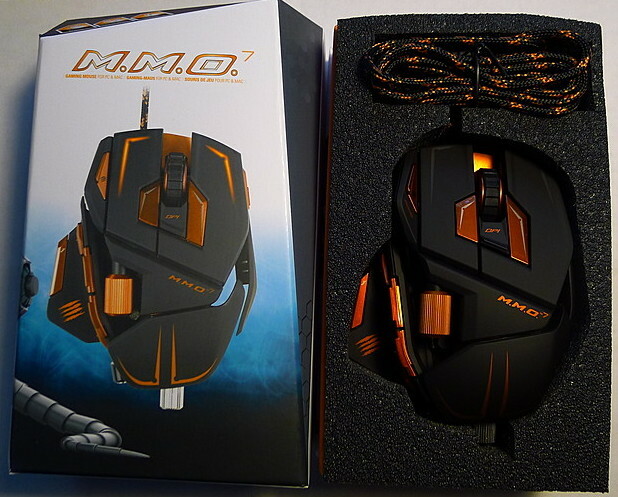 The M.M.O.7: An excellent, customizable mouse. While this particular model is now hard to find, equivalent mice at reasonable prices exist. Another essential item is the chair. Invest in a computer chair that is ergonomic and comfortable for your body. Next to the monitor, this is one item where you will immediately notice a difference whether good or bad. What can we improve to make the computer faster? The hard drive! This one item alone will produce a night versus day difference. 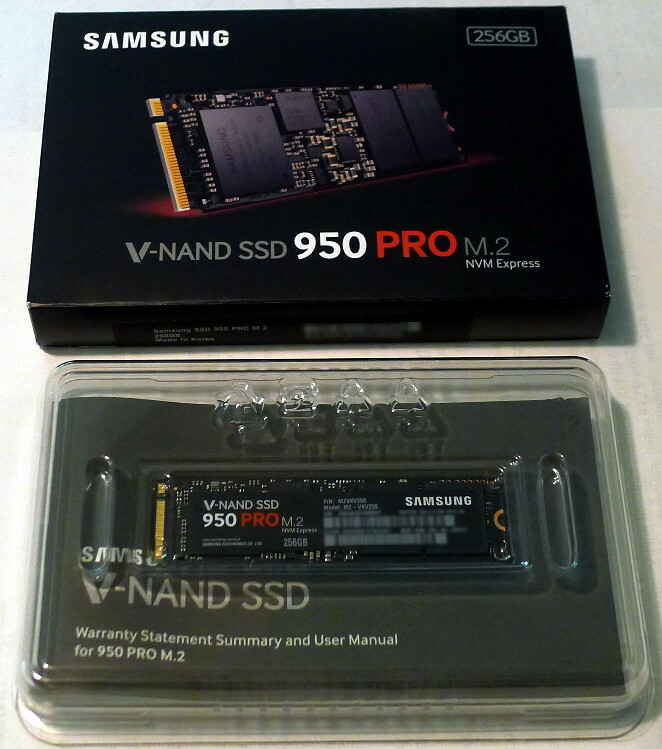 Invest in a solid state drive (SSD) or an NVMe M.2 SSD. This one item alone will make your existing system boot faster and feel snappier during everyday use that any other upgrade you could make. Of course, you must install your operating system to it in order to see the OS benefits. SSD and NVMe prices are lower now than when first introduced. Which brand? Samsung makes some of the best. If all you can afford is an SSD, go for it, but NVMe should be your top pick due to its speed. An SSD is limited to ~550MB/s reads and writes, but it cannot compare to NVMe’s ~1.5GB/s to ~3.2GB/s reads and writes (varies with maker and model, so check the specifications). An NVMe SSD offers the fastest hard drive performance. Shown here is the Samsung 950, which an older BIOS should recognize as a boot device even if it does not support NVMe as a boot drive. Linux supports NVMe, so just plug and play. Keep in mind that if you want to use NVMe with a motherboard lacking an M.2 slot, then you will need to invest in an M.2 to PCIe adapter. You might even need to use a boot trick to make your Linux system load the operating system from NVMe if your BIOS lacks NVMe boot support. An adapter like this will allow you to use M.2 NVMe storage in a motherboard lacking an M.2 slot. A good rule of desktop computer design is to keep your operating system and data located on separate drives. 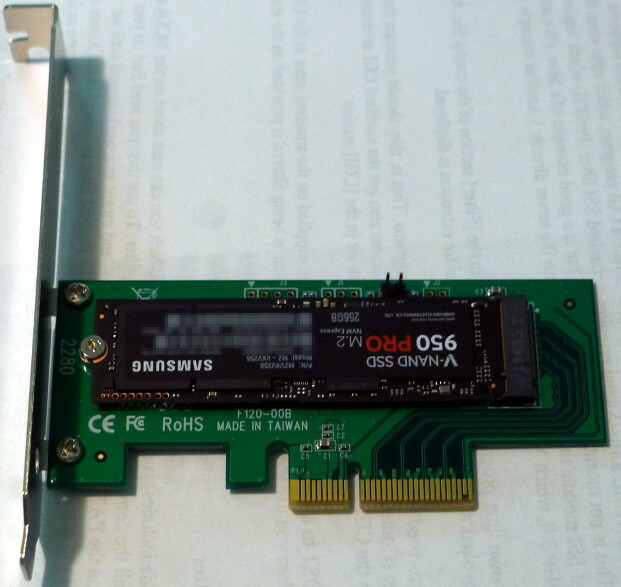 Install Linux onto the fast NVMe SSD, but use a less expensive drive of a large capacity to hold your data. This way, if you need to reinstall the operating system, your data will be keep physically isolated on a different drive without the risk of losing it during the new OS installation. No matter how proficient you think you are, it is far too easy to mindlessly click through the installation dialogs and accidentally format your entire installation drive. If you data was located there too, then too bad for you. This separation tactic is essential if using the *cough* *cough* Windows operating system. Windows would frequently crash and either corrupt any data on the OS drive or make it inaccessible. A lesson learned through painful experience. (Yes, I have experienced hard system crashes with Windows 10.) Separating the Windows OS from the data preserved the data during Windows system crashes and reinstallations. Even though Linux is more stable than Windows, this is still good practice. Devoting the NVMe SSD to the operating system provides more space for users and virtual images that need faster access times for better performance. The idea is to protect the data in the event of an OS crash, failure, or OS reinstallation. How much data do you have? Calculate that amount and then add some. If your needs are small, use an SSD. If the SSD capacity you need is too expensive, use a cheaper mechanical drive with the capacity you need and then some. ext3, ext4, btrfs? Which is better? Linux supports awide range of file systems. Research the pros and cons of each, and then use the file system you believe is best for your situation. For regular Linux desktop users, ext4 and btrfs are good choices. btrfs is newer and considered the eventual successor of ext4. I have used both and have experienced 100% reliability. If you require compatibility with Windows, then you are limited to NTFS or FAT32. Pick NTFS, if possible, since it supports larger file sizes. NTFS and FAT32 are inadequate for Linux use because they do not support the Linux permission system. But if must share a drive with Windows, either a backup or an internal drive, then you have no choice but to use NTFS or FAT32 since Windows does not recognize the Linux file systems without third-party drivers (that tend to be flaky at times). RAID (Redundant Array of Independent Disks) duplicates data across multiple drives in real time. If one drive fails, then your data is still accessible on the surviving drive, giving you time to replace the failed drive. This is a rule of computing, so you must design or upgrade your existing system knowing that your data drive will fail sometime in the future. RAID helps protect against these failures. Avoid RAID-0 and spanning because there is no redundancy. Use RAID-1 or RAID-5. Anything higher is probably overkill for a regular desktop system. Linux and mdadm make RAID easy to setup and use. With RAID-1 (mirroring), you need at least two drives. With three drives, up to two hard drives can fail before losing all of your data. 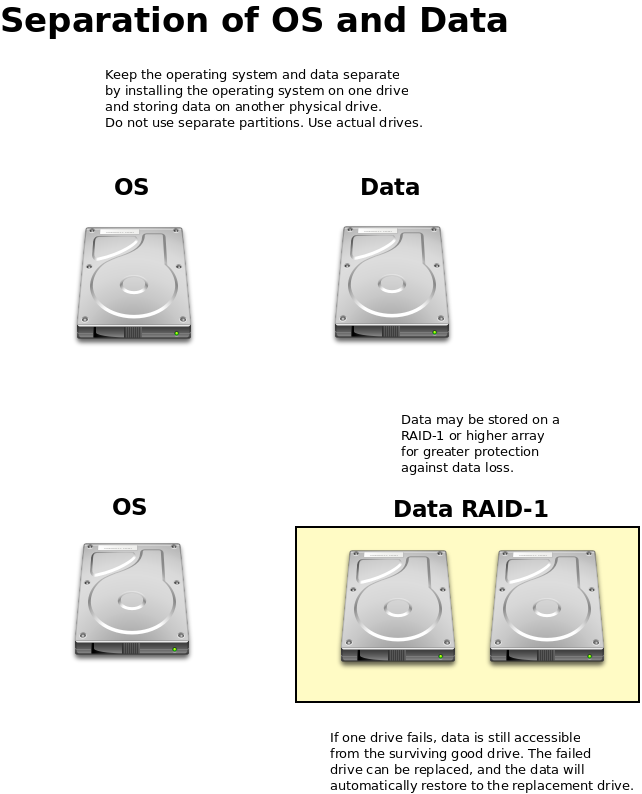 RAID-5 requires at least three drives. The performance is faster than RAID-1, but only one drive can fail unless you add spares to the array. The subject of RAID can take some time to learn, but it will elevate your Linux skills to another level. Invest in USB external drives to backup your data. Pick a capacity equivalent to your data drive so you can use rsync to conveniently make an identical full duplicate. Let your data drive be the source, and all external backups mirror the source. 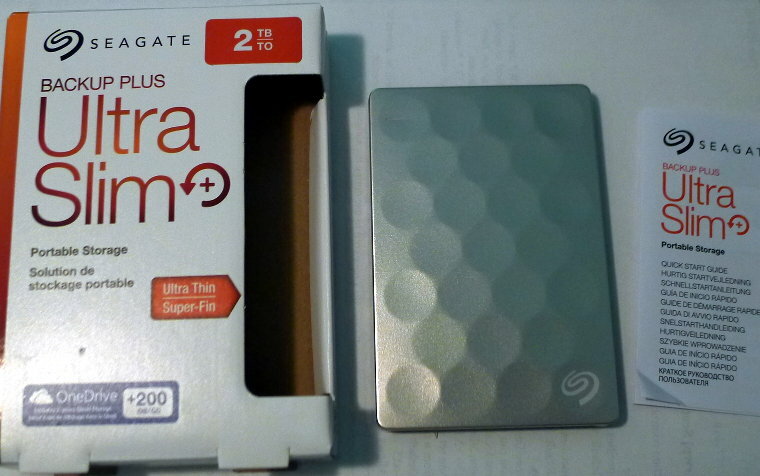 Small and speedy, the Seagate Ultra Slim+ is an excellent USB3 drive for data backups. Use USB3 for faster backup times. Of course, your motherboard must support USB3. If not, invest in an inexpensive USB3 PCIe card. Linux supports them built-in. Just plug and play. RAID is not a backup system. RAID only protects against drive failure while your system is running. An external backup keeps a copy of your data as of the last backup. If something happens to your system and you are unable to boot it, then you will have your data accessible from the backup using another system if necessary. Because your data is your lifeline. It is the reason you are using a computer in the first place. An operating system can always be reinstalled, but that 200+ hour essay you have been composing means you have lost 200+ hours of your life if you lose it. Protect your data. The more backups you have, the more protected your data will be. We covered a few hardware tips, but those cost money. What can we do from the software/user side of things? One tip is to delete digital clutter. Unneeded files. Unlistened music. Unwatched videos. Delete them. This saves storage space, and it might reduce the data drive capacity, saving you money. It is too easy to become a digital packrat, so guard yourself. Of course, essential files should be kept, but ask what is truly essential and what “might be useful someday.” Remove what you have not used lately and will not be likely to use. Only you can answer this question. By removing unused/unneeded files, you can become more organized. External backups can be grabbed by anyone who knows their locations. You need to protect your data from prying eyes, so use encryption just in case your backups fall into the wrong hands or get lost. VeraCrypt is an excellent free software product that uses time-tested symmetric key algorithms, such as AES and TwoFish, to encrypt your data with a password and optional keyfiles. Whatever encryption software you chose to use, make sure you are not locked into a specific operating system. VeraCrypt is cross-platform compatible. Meaning, if you encrypt your data using a Linux system, then you can still retrieve that data on a Mac or Windows system. Of course, the operating systems must be able to recognize the file system the backup drive is formatted as, but that is a platform issue, not an encryption issue. Think ahead. Cross-platform encryption is the best for data accessibility. The purpose of having a backup is to access your data in the event of a system failure or primary data loss. If your encrypted backup is tied to a proprietary encryption system, such as EFS or BitLocker, then you cannot access the backup data if the system it is tied to fails. The data might be irrecoverable unless you have previously backed up the needed certificates required to decrypt the backup. This adds unnecessary complication to the backup process that is easy to overlook or forget. The harder a backup/encryption process is, the less likely you are to perform the backup, and this reduces the effectiveness of having a backup at all. Sure, some backup is better than no backup at all, but frequent backups performed every week are preferred over difficult-to-make backups once every three months. You are the one who must backup your data, so think about convenience. “Can I do better? Can I make this easier?” Again, avoid the convenience of tying your encryption system to a particular operating system. Choose cross-platform so you can always access your data in the event that you must use a different system. Pick an encryption solution that you trust the most. Ask yourself what you are trying to protect and from whom you are protecting it. This will determine the level of security you need. Everyone wants military-grade data security, but does your new cookie recipe really require encryption strong enough to thwart government agencies? If that is your goal, then you have bigger issues to be concerned about than encryption alone since governments have unlimited resources to extract the information out of you via other means. Encryption is only a small, small part of the security pie in that case. If your goal is to protect that recipe from the your neighbor’s prying eyes during a cooking competition, then products like VeraCrypt are more than adequate. Remember, the goal is to protect your backups from snoopers, not governments. Avoid the paralysis by analysis, all or nothing mindset. (Example: “If that encryption package cannot protect governments from my files then what good is it?”) Some encryption is better than no encryption. Just make sure you can access your data for recovery in case your system crashes and you must use a different platform. There are many benefits to encryption, but the point is to protect your data when not in use. Can’t afford a new NVMe SSD? You can improve the boot time of your existing system a little bit by changing settings in BIOS. Of course, there will be limits, but some settings can be disabled to reduce the time your computer spends in the BIOS POST step. This can shave a few seconds off the boot time. You will not be able to eliminate the BIOS boot step completely, but it can usually be reduced. Trial and error is required since various motherboards and BIOS versions exist. Linux is a marvel in that you can customize it to your liking. This also includes tweaking the system for faster boot times. Disabling services, caching most frequently used programs, and more are possible that give the illusion of making Linux seem faster than it really is even if you are not using an SSD. Assign a static IP address to your computer. By default DHCP is used, but this can cause your Linux system to wait a few seconds during boot in order to obtain an address. With a static IP address, the resolution step is avoided. It also avoids lengthy timeouts in case the DHCP server is offline. Experiment with different programs. Some load faster than others. As an example, suppose you want to use a text editor that opens the fastest. Atom is a good editor, but there is always a delay when opening a text file with it (at least on my system). On the other hand, gedit opens almost instantaneously. Therefore, set gedit as your default text editor so text files open in less time. If you can live without the features of a given program in favor of another but faster program, then that is an option to try. If you have enough RAM already, chances are good that you rarely use it at 100% every time you use your computer. RAM disks are a worthwhile option. A RAM disk is a reserved portion of RAM that Linux sees as a regular hard drive. The advantage is that it operates at the speed of RAM for reads and writes. A RAM drive can be used as a temporary scratch area for things like browser caches. RAM is deleted when the system is powered off, so this automatically deletes your browsing cache/history/whatever for forced privacy. You can also configure a RAM drive to act as a fast storage cache for slower hard drives. A program like flashcache could be configured to cache the most frequently accessed hard drive data. It made slower mechanical drive feel fast and snappy once the data was cached. However, flashcache no longer works with certain newer kernels, so customization and compiling may be required. RAM drives and flashcache are examples out of many. The point is that the more research and personal learning that you do, the more knowledgeable you will become. This only requires time, effort, motivation, and self-discipline — all of which are independent of RAM and GPU prices. As your knowledge grows, you will find ways to tweak and improve your Linux system without the need to purchase faster, more expensive hardware. Of course, combining these tricks with faster hardware will result in an even faster system. man pages are your friend, and online resources abound. Explore the repository using Synaptic Package Manager where package descriptions are given. This helps familiarize yourself with what the Linux world has to offer. Older packages are usually still around because they work, not because they are obsolete. The key to remember is that the tricks exist. Each system is different, and this requires observation, time, and skill. Ask “What if I do this?” and experiment. Whether it be a software switch, a disabled service, or a new package installation designed to optimize a part of your system, give it a try for your system. Research needed areas. What are the boot files essential to Linux? Can I disable these services? What is the bare minimum needed? Often, systems with expensive, faster hardware boot in moderate times because they have not been optimized. The default installation options usually produce slow boot times. Much of this waste can be eliminated to create a lean, sprinting Linux machine. Most of all, enjoy the learning process! This entry was posted on February 27, 2018, 6:47 PM and is filed under linux. You can follow any responses to this entry through RSS 2.0. You can leave a response, or trackback from your own site.